Something to get a ‘Hot-Flush’ over – Extra performance of MENOPAUSE THE MUSICAL added due to popular demand! Armed with a cast of hormonal women, memory loss one-liners and innuendo-laden versions of pop classics, MENOPAUSE THE MUSICAL comes to the Alhambra Theatre, Bradford for the final date on its 2017 Tour on Sunday 2 April. Due to popular demand, an extra performance has been added at 4.30pm. 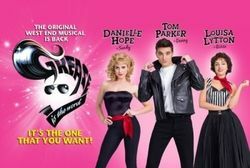 We are delighted to announce tickets for GREASE, BLOOD BROTHERS and SUNSET BOULEVARD are now on general sale. The Full Monty back by popular demand! Simon Beaufoy’s THE FULL MONTY returns to the Alhambra Theatre, Bradford this March. The cast is led by Gary Lucy as Gaz, with Andrew Dunn as Gerald, Louis Emerick as Horse, Chris Fountain as Guy, Kai Owen as Dave and Anthony Lewis as Lomper. Featuring a host of great songs such as Don’t Sleep In The Subway, These Boots Are Made for Walkin’, To Sir With Love, Diamonds Are Forever, Puppet On A String, Those Were The Days and Downtown as well as You Don’t Have To Say You Love Me, Son Of A Preacher Man and Goldfinger, SHOUT! 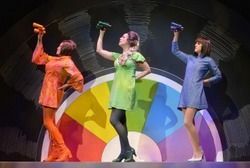 The Musical by Phillip George and David Lowenstein, which set London alight in the early Sixties, is coming to the Alhambra Theatre, Bradford, Tuesday 25 July – Saturday 29 July 2017. 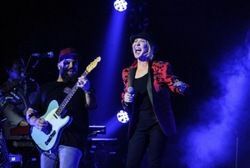 Due to phenomenal demand, legendary singer Lulu has confirmed that she will embark on the biggest tour of her incredible career throughout October and November 2017. On-sale to Bradford Theatres Friends on Wednesday 15 February 2017 from 10am. On general sale Friday 17 February 2017 from 10am. Sonia Friedman Productions and Ambassador Theatre Group present the national tour of the multi-award winning hit West End musical SUNNY AFTERNOON. 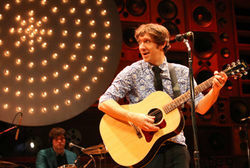 Recipient of four awards at the 2015 Olivier Awards including Best New Musical and Outstanding Achievement in Music for Ray Davies, the tour of SUNNY AFTERNOON is produced by Sonia Friedman Productions and Ambassador Theatre Group with Tulchin Bartner Productions, Just for Laughs Theatricals/Glass Half Full Productions, Rupert Gavin, in association with Hampstead Theatre and Arlon Productions. 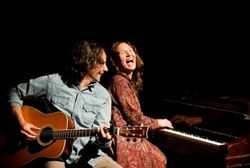 Off the back of the massive success of ‘The Simon & Garfunkel Story', Maple Tree Entertainment Ltd are proud to present You’ve Got A Friend, a brand new concert-style show based on the friendship and music of James Taylor and Carole King. 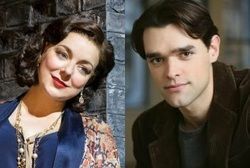 Sheridan Smith and Chris Peluso lead the cast of Funny Girl which comes to the Alhambra Theatre, Bradford for one week only from Tuesday 6 – Saturday 10 June 2017, having enjoyed critically acclaimed and record-breaking sold-out runs at the Menier Chocolate Factory and Savoy Theatre in London. 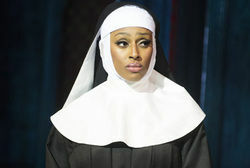 The all new critically acclaimed production of the hit musical SISTER ACT is coming to the Alhambra Theatre, Bradford from Monday 20 – Saturday 25 February. Directed and choreographed by Craig Revel Horwood, with musical supervision and arrangements by Tony Award-Winner Sarah Travis, this feel-amazing show features dazzling dance routines and songs inspired by Motown, soul and disco. 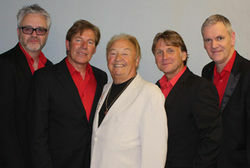 One of our greatest 60s icons Gerry and the Pacemakers will be performing their classic hits and sharing stories at King's Hall next month, when they bring their unmissable journey down memory lane Gerry Cross the Mersey, to Ilkley on Tuesday 21 February.